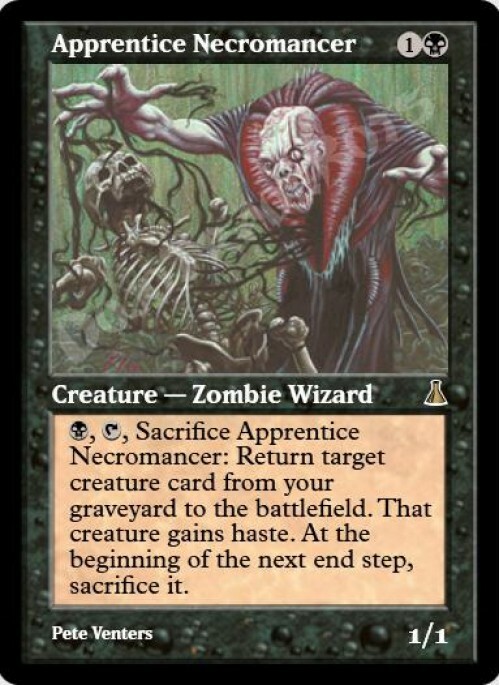 , , Sacrifice Apprentice Necromancer; Return target creature card from your graveyard to the battlefield. That creature gains haste. At the beginning of the next end step, sacrifice it.